Note: All this week, we’ll be publishing posts from the 2018 NAMM Show in Anaheim, California. It’s a huge exhibition, so we’ll focus on what we try to do best: cover the field of music notation software and related technology. This post is a review of Sibelius 2018.1, the first update to Sibelius in 2018, coinciding with the opening of the NAMM show. Today Avid released Sibelius 2018.1, the latest update to Sibelius. This update brings broad improvements to how users perform common tasks in Sibelius like placing slurs, hairpins, other lines, ties, special barlines, and more. A number of other evolutionary changes to this update, such as a new note editing feature, make it a solid first release of the year for Sibelius, in conjunction with the first day of the 2018 NAMM Show. Also announced today were the introduction of Avid Premium Cloud Plans for Sibelius users, with monthly prices ranging from $5 – $25 and storage capacity from 10 – 80 GB depending on the plan selected. 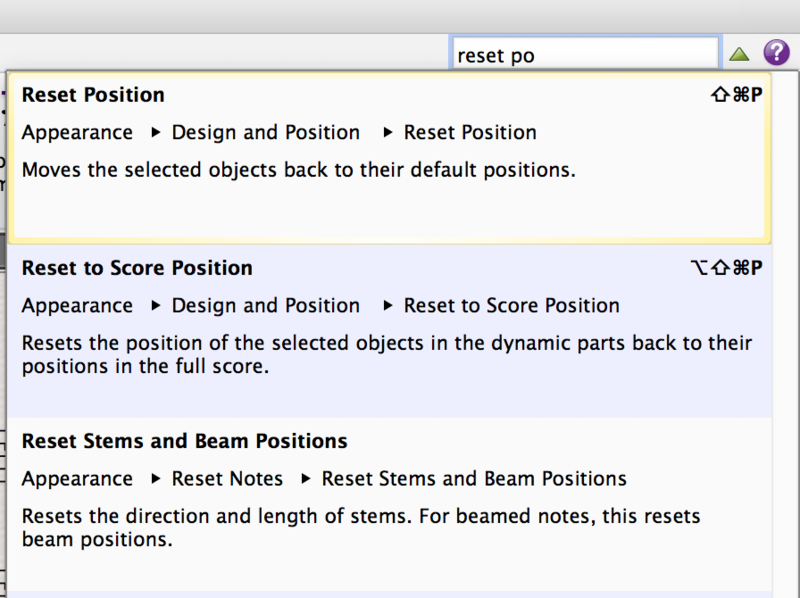 In addition the Avid Artist Community now supports Sibelius users. The previous Sibelius version was 8.7.2. No, you haven’t missed more than 2,000 releases since the last one; Avid is moving to a year-based scheme to identify its products going forward. From now on, the version number will reflect when the release was made: 2018 being the year and .1 being the month, i.e., January in this case. If there are multiple releases in the same month, there will be an additional decimal. That’s all fine and should help users more easily identify how current their software is, especially when keeping track of subscription plans. Punted to another day is the matter of file format, which remains with the same issue as ever, meaning that one must check carefully when collaborating with someone on an earlier version. For now the file format remains the same as it was in 8.6 and 8.7; you’ll need to export as a previous version for users on 8.5 and earlier. So even though the program numbering has changed, in practice 2018.1 is more like an “8.8” than “9.0”. In any case, it’s a new release and there’s lots of good stuff here. Broadly speaking, it’s as if Sibelius made a new year’s resolution to be more self-aware; you’ll find that most of the improvements focus on understanding the context of the music and making a better guess as to how the user wants to apply changes. It has always been possible in Sibelius to make a selection and apply articulations to notes in the entire selection at once, even across multiple instruments. So one could be forgiven for thinking that the same would apply to slurs and hairpins. But as we all know, until today, making a passage selection and pressing S for slur or H for hairpin only applied to the top staff in the selection. That’s not all. You don’t need to make a passage selection for this to work. You can select multiple notes, press S for slur or H for hairpin, and advance everything at once by pressing Space. This means that you can apply these items across multiple passages on the same staff. These changes are hugely welcome. Power users have long been accustomed to trying to get around this limitation by using plug-ins such as Multiply Dynamics, that the muscle memory ingrained over decades will initially be difficult to overcome with this new approach. Indeed, if there is one place where these improvements come up short, it’s that text expressions still must be placed one at a time without the aid of a plug-in. Even so, once you start using this new feature, you’ll wonder how you ever got along without it. Although (unlike with slurs) it has previously been possible to apply ties across multiple notes in a passage, Sibelius has been rather dumb about it; it was a brute force affair, with the ties applied to all notes. In 2018.1, Sibelius has gotten a lot more discerning about which notes to apply the the tie. It will only actually make legitimate ties, skipping those notes with no note of the same pitch immediately following. It is still possible to select individual notes to make dangling ties, if you wish (though if your aim is to make laissez vibrer ties, the plug-in Add LV Symbols to Notes is a better choice for this). It’s worth noting that the notes must be in the same voice for this to work correctly; Sibelius 2018.1 will not tie two notes in different voices. For this, Kenneth Gaw’s plug-in Intelligent Ties will still be useful. But for most cases, this is another improvement that bolsters Sibelius’s core features without needing to rely on a plug-in to achieve a desirable default outcome. In the 8.7.2 update, the treatment of non-default (“special”) barlines was modified to improve the behavior instrument changes and mutirests. (It’s worth a reminder that, as of that update, certain barlines such as special normal barlines, dashed barlines, and invisible barlines no longer break multirests). Now, in Sibelius 2018.1, it’s possible to select multiple barlines at once and change them to a different barline style, something only previously possible to do one at a time without the use of a plug-in. This is done by Command- (Mac) or Ctrl- (PC) clicking each on barline which you want to change and then applying the new barline style in the usual way (Notations > Common > Barline or by right-clicking to bring up the Sibelius 6-style contextual menu and selecting Barline). These are nice improvements. I wish it were possible to just make a passage selection to change barline styles; individually clicking on several dozens or hundreds is still a tedious affair, even with this implementation. Fortunately, a couple of plug-ins will still come in handy for that task: Bob Zawalich’s Change Selected Barlines or Roman Molino Dunn’s Barline Tool fit the bill. Repeat barlines are not applied in the above manner, for obvious reasons; you would not want a whole series of “start repeat” barlines, for instance. But they get their own love in 2018.1. Now, when you make a passage or system selection and apply either a start or end repeat barline, Sibelius is smart enough to apply the correct barlines to the start and end of your selection respectively, regardless of which barline you choose. Longtime users have probably become wearily accustomed to this behavior, making simple-seeming rhythmic adjustments more cumbersome than they appear. 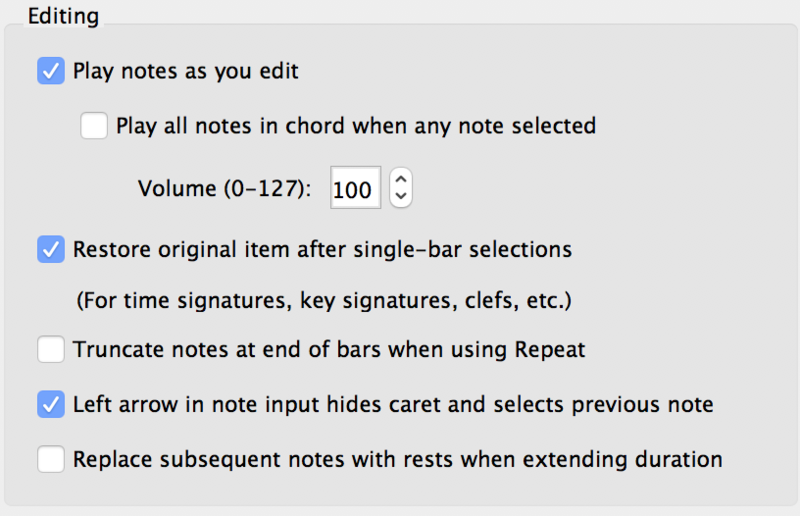 Should you prefer the old behavior, a new option has been added: Preferences > Note Input > Editing > Replace subsequent notes with rests when extending duration (which is left off by default). One exception: If a tuplet exists subsequent to the note you lengthen in duration, the tuplet will be removed entirely. Ever since the introduction of the Ribbon in Sibelius 7, there has existed a search box in the upper-right corner of the screen, designed to help users find what they were looking for (especially those used to the Sibelius 6 menus). The search box was purposely designed more as a Sibelius navigation tool and not necessarily to execute a command quickly, though: selecting the found option then took you to that part of the Ribbon, where you would have to again click to run whatever command you wanted. In 2018.1, the search box is somewhat re-imagined as a direct launch tool. Whenever possible, clicking or pressing Return on a search result will immediately execute that command. Further, the shortcut Ctrl+0 (Mac) or Alt+0 (PC) will take you directly to the search box; previously one had to invoke those key commands separately to go through the key tips. This shortcut can be customized in Preferences > Keyboard Shortcuts if desired. Speaking of shortcuts, all the keyboard shortcuts now appear in the search results. The layout is clearer, emphasizing the name of the feature and de-emphasizing its location in the Ribbon. This is a good improvement and hopefully the start of a larger effort to make Sibelius’s many powerful features as accessible to the user as possible. File > Print: The page orientation is now only changed by changes in Document Setup if printing Normal pages. This no longer happens with spreads, booklet or 2 pages per sheet and avoids the problems where these would get reset to portrait paper rather than remain landscape, as is correct for these printing arrangements. The space after a key signature and start repeat barline is now slightly wider and won’t collide with each other. It’s now possible to add a dashed slur to a grace note. The Combine Tied Notes and Rests plug-in is faster when processing music in large scores. The Sibelius 2018.1 update is free for all Sibelius users with active subscriptions and upgrade plans. The updated installers are available from Avid Application Manager or through users’ Avid Accounts. Great set of new features, and correction of “misfeatures”. Thanks for this update, Philip! Thanks as always for reading, Derek! Thanks for this, Philip. I started reading the official Avid posts, but I find your reporting to be much more concise, and I don’t have to worry about whether I am being sold something. Great examples too! All welcome improvements! Thank you Avid. Smart block repeats…it’s about time. The other guys have had this for a very long time! And Smart ties, slurs and such…great. Though we’re still not able to have all tied notes change pitch together when changing the pitch of its first note (or as a preference, from any of the tied notes). New tie rules needed here! Hi Bernie! I agree, smarter articulations on tied notes would be great. Nice — thanks for the update Philip. Really nice improvements on this update. I hope they can bring text expressions to the party. Until then Multiply Dynamics is a must. I did like a lot the new ribbon’s search box behavior altho it would be nice to see, in some occasion, the desired command in place at Sibelius’s menu. Any way to evoque the previous behavior occasionally ? Thanks, Tiago. No, I don’t think it’s possible to bring back the old Ribbon behavior. As always, a great post with clear explanations and examples! Thanks very much!